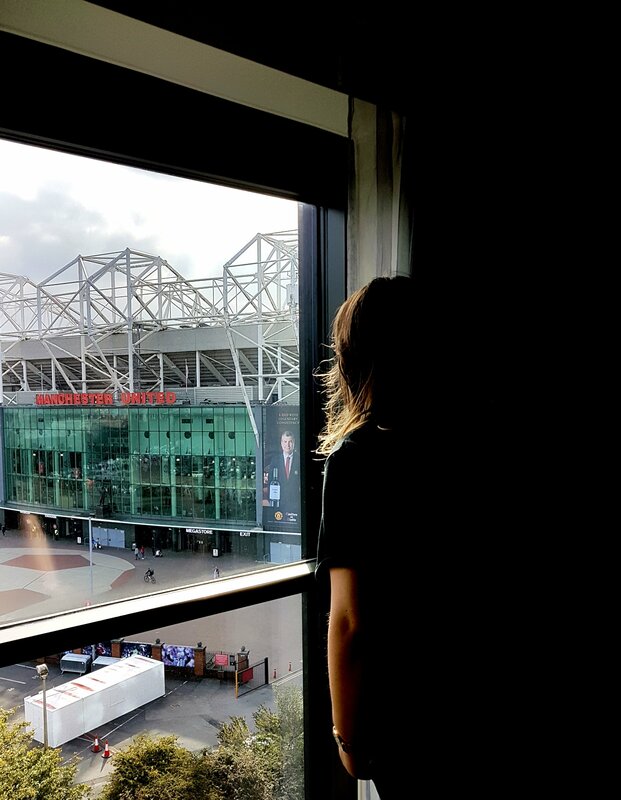 Hotel football, Old Trafford // Manchester. 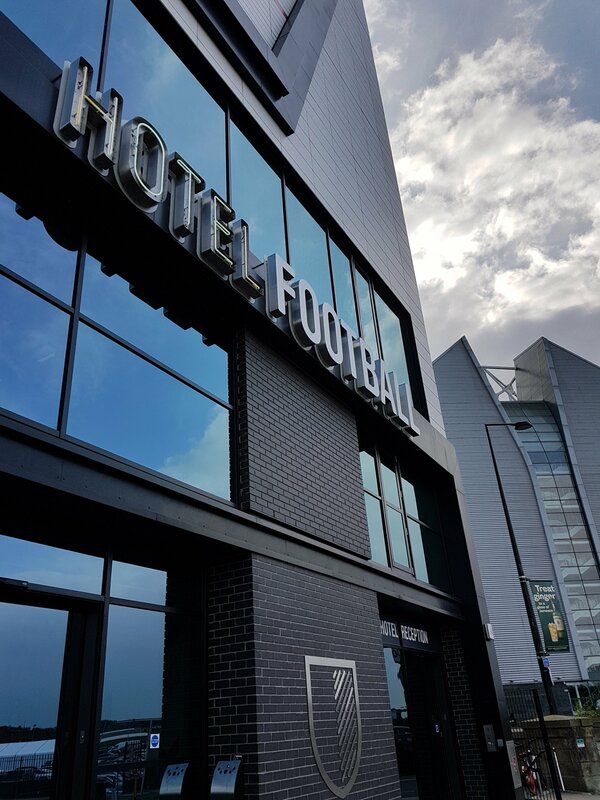 Sitting directly opposite Manchester United’s ground, this football-themed hotel is fronted by the Class of 92′ legends; Ryan Giggs and Gary Neville. 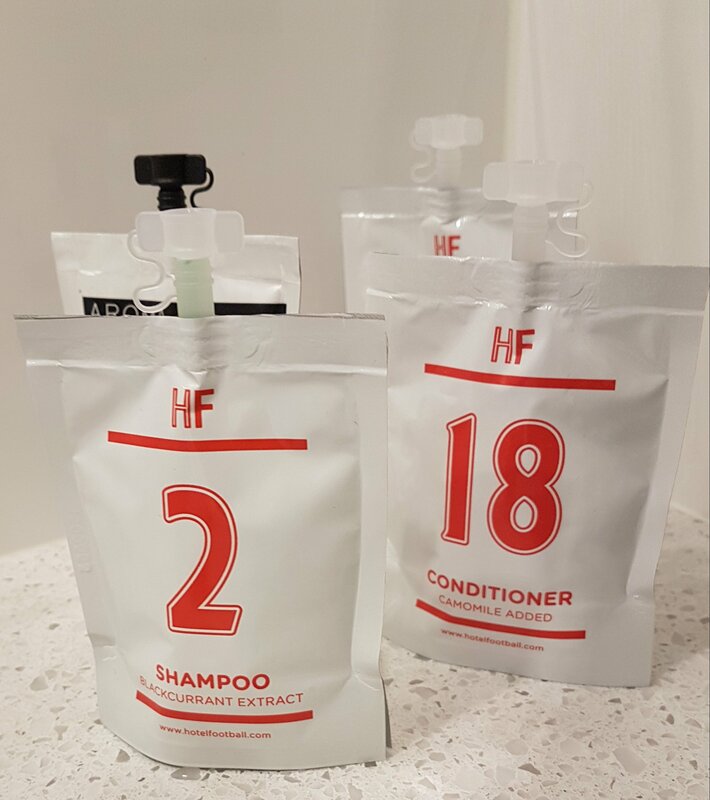 This hotel doesn’t only appeal to the audience of Manchester United fans, the facilities at this hotel applies to anyone with a love for football. 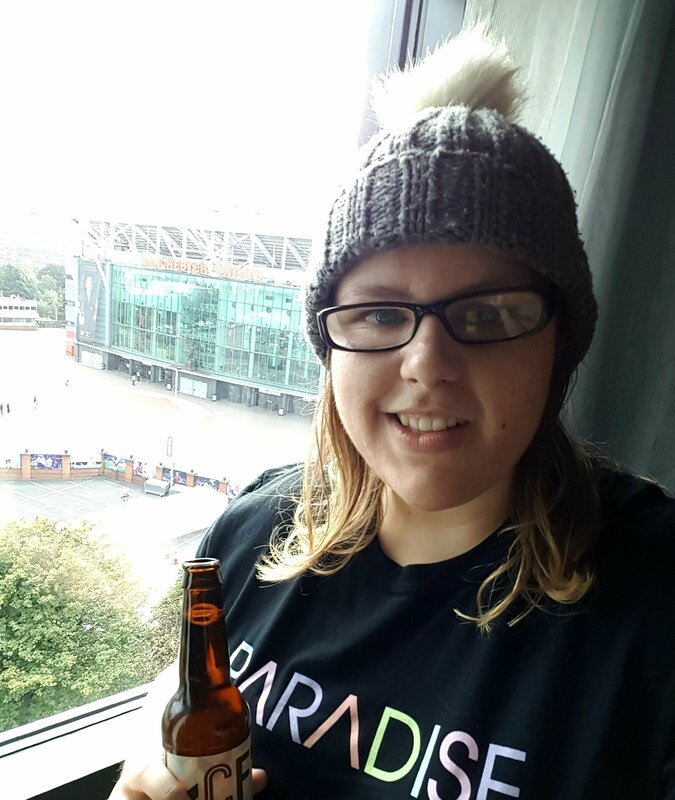 First, there is the Old Trafford Supporters Club. Pool tables, TV screens and terrace-themed food fill the room as fans gather before a game. Cafe Football, a 185-seat restaurant serving comfort food such as burgers and pizzas are over seen by two-mechlin-starred chef, Michael Wignall. The art is also cool and unique featuring footballing legends from Ronaldo to Zidane. Heaven, at the top floor of the hotel is quite literally heaven. Featuring a five-a-side football pitch with panoramic views from Old Trafford to Salford Quays. As soon as I entered the room I seen the neon-lights of Old Trafford and felt an instance sense of ‘I’m home’. Rooms decked out in the Red and White of Manchester United, have many amenties. 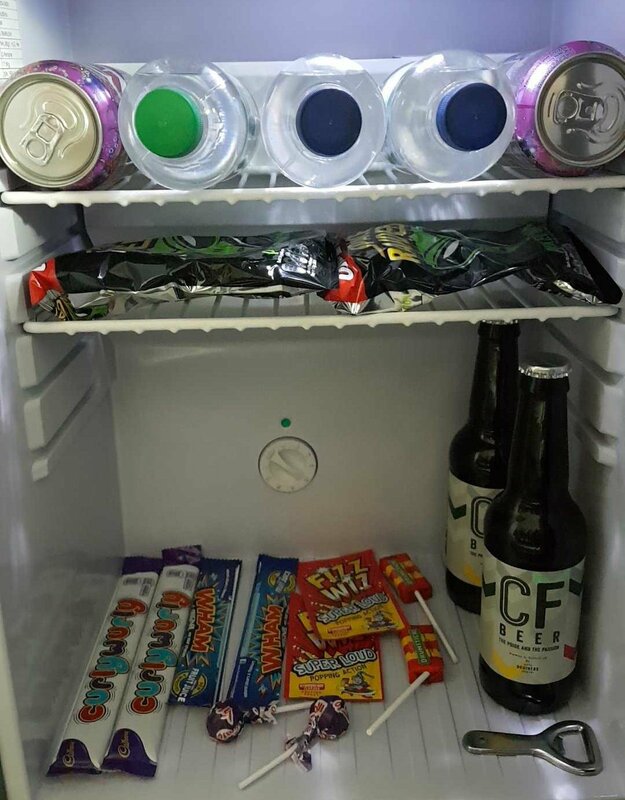 Take advantage of the free bar filled with goodies such as beer and retro sweets. Relax in your cozy Hotel Football dressing gown and make use of the personalised Class of 92′ toiletries. While I stayed at the hotel I ordered room service. 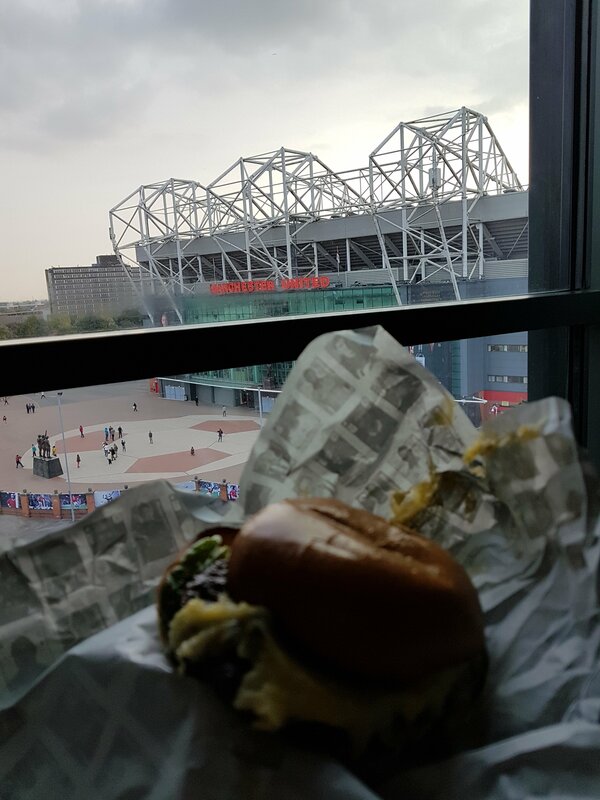 Why go out to a restaurant when you have the perfect view of Old Trafford. At only £10, I opted for the ‘Special One‘ burger. At this hotel, you get the V.I.P treatment. The staff are friendly, rooms and amenities are fantastic and of course being a Manchester United fan this is my dream hotel. You will not regret staying at this hotel, that’s for sure. It’s special.